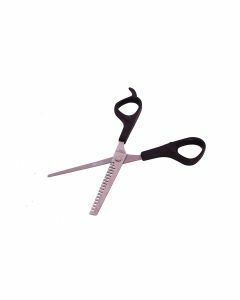 Dog Scissors help in cutting off knotted hairs in dogs which poses a chance of matting and tangling. 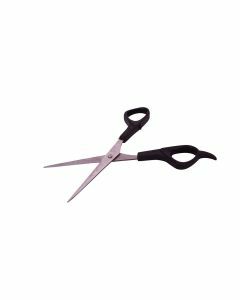 We at PetsWorld offer you good quality scissors which provides maximum comfort and steadiness while grooming your dog. 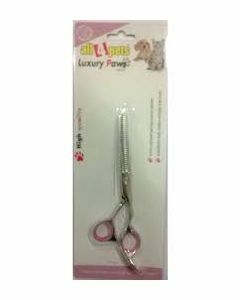 Thinning scissors available at PetsWorld helps you to obtain a more natural trim on your dog. They groom the main body coat without shortening the hair length. Stainless Steels Grooming Scissors are also there for trimming ear hair, tactile hair and the hairs on foot and claw. The handles are moulded for high comfort and have an extra finger rest which ensures an ergonomic grip and relaxed use for a longer grooming session. Pet Nail Safety Cutters provide a safe and precise cutting of the paw nails of dogs. 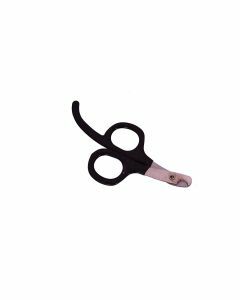 All 4 Pets Thinning Shears helps for a faster and clean nail cutting with less effort which allows your dog to walk comfortably and also prevents the damage to your floors and furniture.